Neptune Aviation was founded in 1993 as the result of the purchase of Black Hills Aviation in Alamogordo, New Mexico. Shortly thereafter, operations were moved to Missoula, Montana. 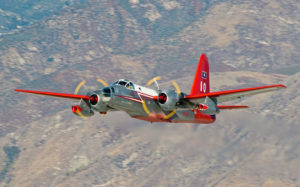 At that time, 14 vendors and a nationwide fleet of 44 aircraft provided aerial firefighting services under 3-year exclusive use contracts with the United States Forest Service. Of the 44, Neptune operated 6, all P2V Neptune airtankers. In 2017, Neptune retired its venerable fleet of 7 Lockheed P2V aircraft. These aircraft found new homes in 2018 in museums around the country.